We’ve summarized these performance metrics for our Sector Rotation Model (SRM) in the table below. However, unless you happen to be a particularly savvy investor, there’s a good chance you have no idea what all these numbers mean. Not to worry, in this section we’ll break down each of these metrics so that you can get a better understanding of the SRM’s true capabilities. Note: In the table above, as well as in the charts that follow, we’ve also provided performance data for using the SRM in conjunction with the ARM (denoted SRM + ARM ). What this refers to is following the SRM while it is invested in stocks, and then deferring to the ARM temporarily when the SRM moves to cash. The net effect is that the SRM + ARM shows the additional benefit of having the SRM’s portfolio allocated to bonds (per the ARM’s recommendation) when stock market conditions are unfavorable, rather than simply sitting in cash. The compound annual return is the rate of return that an investment strategy has achieved over time. It represents the cumulative effect of a series of gains and losses on an original amount of capital. In the chart below, you can see that both the SRM and SRM + ARM have delivered significantly higher returns than the overall stock market. The outperformance that you see here is the result of two primary factors. First, because certain sectors of the market are always outperforming others, returns can be enhanced by focusing on the sectors that are performing the strongest. In addition, the SRM, like all of our models, has a built-in mechanism for moving to cash during severe market declines. By limiting losses during these treacherous periods, the SRM is able to hold on to a larger portion of its gains. The difference in performance that you see between the SRM and SRM + ARM is simply the result of investing in bonds (per the ARM’s recommendation) rather than cash when the SRM is out of the stock market. As you can see, this provides a substantial benefit. Not only has the SRM vastly outperformed the overall stock market, it has done so while exposing the portfolio to less risk. We can see this by examining the three primary metrics that are used to quantify risk: standard deviation, maximum drawdown, and beta. In this chart we can see that the SRM experiences only about 80% of the volatility of the broader stock market, with the SRM + ARM experiencing slightly less. In other words, the SRM’s portfolio is exposed to approximately 20% less overall risk than the market. That may not sound like much, but it’s very significant. In order to understand the benefit of this lower volatility, we need to see how volatility can translate into big losses. We’ll do this in the next section. Maximum drawdown is one of the more intuitive ways to measure risk. It looks at the biggest peak-to-trough decline that an investment strategy has ever experienced. It should come as no surprise that the smaller the maximum drawdown, the better. We can see maximum drawdowns for the SRM as well as the overall market in the chart below. Notice that stocks, as measured by the S&P 500, have experienced drawdowns in excess of 50%. This has actually occurred twice over the last two decades, during the dot-com collapse and again during the financial crisis. The SRM, on the other hand, was able to recognize deteriorating conditions during these treacherous periods and moved the entire portfolio to cash (or bonds in the case of the SRM + ARM). As a result, the most the SRM has ever fallen from peak-to-trough is 18.0%. For the SRM + ARM, the maximum drawdown was 17.2%. This chart presents one of the most compelling arguments for using the Sector Rotation Model. 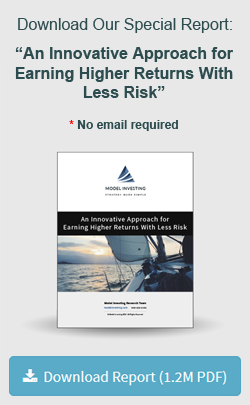 By now you should be able to recognize that the SRM allows you to participate in more upside than a 100% stock portfolio can deliver, but also be exposed to significantly less downside risk. Beta measures the volatility (risk) of an investment strategy relative to holding a basket of stocks known as the S&P 500. A beta of 1 implies the same level of volatility as the S&P 500, while a beta less than 1 implies less risk, and a beta greater than 1 implies more risk. Once again, we can see in the chart below that market risk for the SRM is significantly lower (less than half) what it is for the broader market. In this chart, SPY represents the S&P 500, so it has a beta of 1. 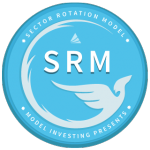 The Sector Rotation Model has a beta of 0.44, which means it only experiences 44% of the volatility of the broader stock market. The SRM + ARM’s beta is even lower at 0.36, indicating even less risk with respect to the S&P 500. This is again due to having the portfolio in bonds rather than cash when the SRM has exited the market. Here we can see that both the SRM and SRM + ARM are able to deliver substantially higher risk-adjusted returns than the overall market. This is accomplished by not only earning higher returns (as we saw from the compound annual return chart) but also doing so while exposing the portfolio to less risk (as we saw in the previous three charts). Based on the values above, we can say that the SRM earns almost twice the return per unit of volatility as the general stock market. When it comes to deciding how to invest, Shape ratios are an extremely important consideration because they demonstrate the true effectiveness of an investment strategy. 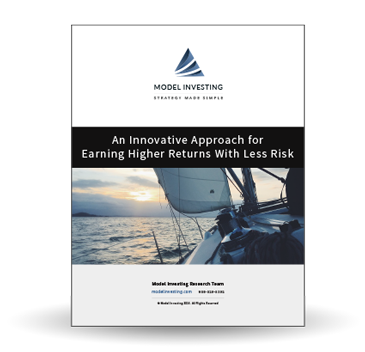 Looking at returns alone can be misleading because you have no idea how much risk was taken to achieve those returns. The Sharpe ratio illuminates this important information, and gives you a complete picture of the risk-reward dynamic. Once again, we can see that the SRM is able to generate significantly higher returns per unit of risk than the broader market. The relative outperformance here is more substantial than with the Sharpe ratio because of the fact that upside volatility is not penalized. This means that a significant portion of the SRM’s (and SRM + ARM’s) volatility comes from better than expected returns, as opposed to worse than expected returns. As you can see, the message here is the same. Both the SRM and SRM + ARM have significantly outperformed the market in terms of risk-adjusted returns. The dramatic outperformance here is a result of the low betas that we saw earlier. By achieving higher returns on much lower volatility (in relation to the S&P 500), the SRM exhibits a much more effective use of capital. We can see the alpha values for our three portfolios below. What this chart shows is actually quite eye-opening if you understand the data. It tell us that if the SRM had experienced the same amount of volatility as the S&P 500 (recall that it had a beta of 0.44, meaning it only experienced 44% of the volatility of the S&P 500), it would have earned an extra 5.32% per year above what the S&P 500 delivered. The outperformance is even greater for the SRM + ARM, due both to its higher returns, as well as an even lower beta (0.36). If the SRM + ARM’s volatility were scaled up to match that of the S&P 500, it would have earned 7.12% more per year than the index. When it comes to understanding the effectiveness of an investment strategy, the metrics we’ve outlined here are critical because they offer a complete picture of overall performance. Rather than focusing only on returns, as most investment mangers do, we’ve lifted up our proverbial skirt to show you the risk that is inherent in our strategy as well. As a secondary benefit, this performance data also provides you with everything you would need to compare the SRM against other strategies in an apples to apples manner. By taking the time to dig deeper into the SRM’s historical performance, we hope you’ve come away with a greater sense of why we believe it to be an excellent supplemental strategy to an already diversified portfolio.